Wiley Taylor of Louisville, Kansas is shown here in his Chicago White Sox uniform. 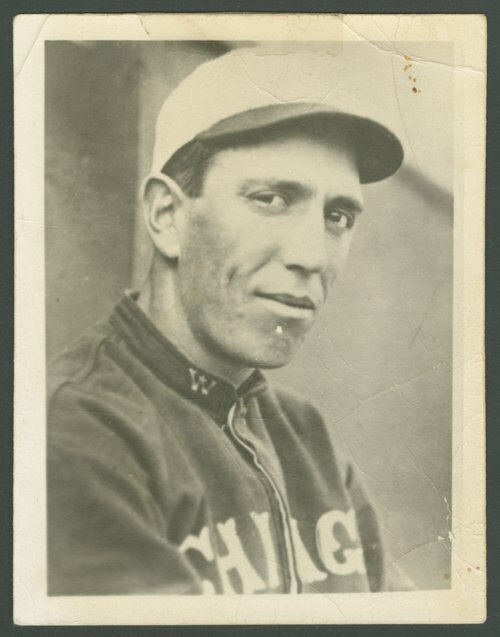 Taylor was a right-handed pitcher who appeared in 27 major league games between 1911 and 1914, including three appearances for the White Sox in 1912. His Chicago record was 0-1 in 20 innings pitched. He also had a three-game trial with Detroit in 1911, but most of his major league games (21 of 27) were with the St. Louis Browns, where he played in 1913-14. Taylor's major league record was 2-10, with an ERA of 4.10. After his baseball career, he remained in Pottawatomie County, where he farmed and served four terms as the county sheriff (1925-28 and 1945-48). Late in life, he also ran a service station and a recreation parlor in Westmoreland. Wiley Taylor died at the age of 65 in 1954.